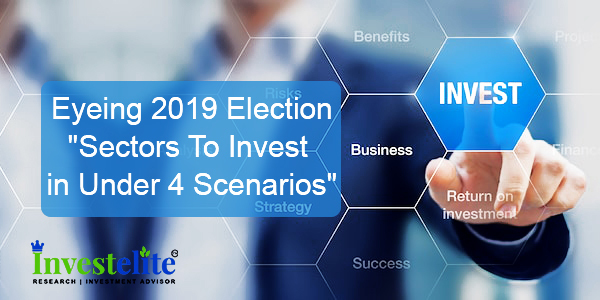 Eyeing 2019 Election- "Sectors To Invest in Under 4 Scenarios". Eyeing 2019 Election- “Sectors To Invest in Under 4 Scenarios”. The Nifty50 index is likely to float in the range startingfrom 8,200 on the downside and can go upwards till 11,900 on the upside, whichmeans a new record high for the index is possible. With Lok Sabha elections 2019 just around the corner, investors are skeptical of putting fresh money into equity market. As fear of populism grows, risk-to-reward ratio looks slightly unattractive for the Indian market. Even though the upside from here looks muted, there could beplenty of action on the sectoral front, said the global investment bank,especially in themes such as private banks, IT, etc. Nifty hit a record high of 11,760 in August 2018. In terms of sectoral outlook, one should look at sectorsthat are likely to benefit most under different scenarios. The portfoliocomposition should reflect your view of the possible outcome in the generalelections. “Evaluating various scenarios, we think the risk-reward looks unattractive for India market, but best for private corporate lending banks (especially those with retail liability franchise), rural-focused names and IT,”. “It is also unattractive for small and midcaps (SMIDs),infrastructure and industrials. While macro policy discipline has been visiblesince the 1990s, valuation has been influenced by policy narrative and investorsentiment there of,” added the note. Based on the market chatter, it looks like the Street isfactoring in the first 2 scenarios. Many investors that are perennially bullishon the India market have also started mentioning that fundamentals may not beimpacted by whichever government comes to power. The big question now is – where should one put their money? In terms of market performance, investors will be happy ifBJP forms the government with a full majority. In this case, Nifty is likely tohit a record high and head towards 11,900 by December 2019. The rage is 10,000on the downside and 11,900 on the upside. In case the BJP-led coalition takes an oath, the market is likely to sustain current valuation and head towards 11,300 levels on the upside and 9,400 will act as a strong base for the markets. If Congress-led coalition takes center stage, Indian market could get de-rated, but actual policies would drive multiples later. The likely range under this scenario is 8,800-11,300. If third front comes to power, it would result in de-ratingand Nifty could potentially drift towards 8,200 while the upside remains cappedat 10,000. In terms of sectoral outlook, one should look at sectors that are likely to benefit most under different scenarios. The portfolio composition should reflect your view of the possible outcome in the general elections. Scenario 1: If BJP emerges as a single party majority than investors should be better off investing in cyclical and rate sensitive. 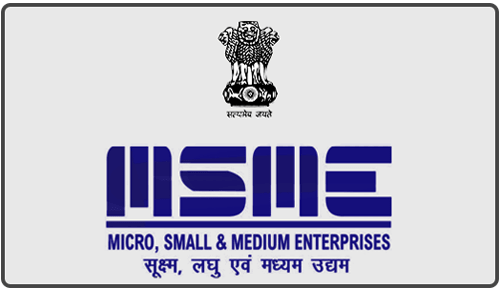 Sectors which will be impacted positively areinfrastructure/industrials, corporate lending banks including SOE, auto, consumerdiscretionary, housing NBFCs, property, oil downstream companies, and SMIDs. Scenario 2: If BJP-led coalition comes together to form the government than the view is that infrastructure/industrials, consumer staples, and SMIDs will benefit the most. Scenario 3: If BJP fails to form the government and Congress-led coalition takes charge at the center then infrastructure/industrials, NBFCs, oil downstream companies, and SMIDs will be in focus. Scenario 4: However, in case Third Front coalition forms a government then infrastructure/industrials, NBFCs, oil downstream companies, and SMIDs will benefit the most.